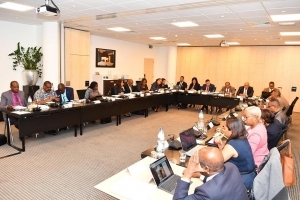 DEN HAAG – In a prelude to the IPKO meetings this week in the Netherlands, the island delegations of Aruba, Curacao and St Martin met Monday morning to discuss the issues at hand. The dispute resolution, constitutional court, education and the Venezuelan volatile situation were amongst discussed topics. 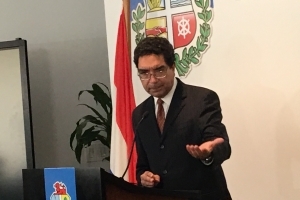 ORANJESTAD – Financial irregularities discovered in the daily handling of the popular educational work program ‘Enseñansa pa Empleo’ had the minister responsible for the department, Rudy Lampe, revoke all signing privileges for the current director and its members. An investigacion by the Central Accounting Department brought the irregularities to light. “I will personally be in charge of this department until further notice” Lampe told press members during a Monday morning press conference. The extend of the financial irregularities were not disclosed. 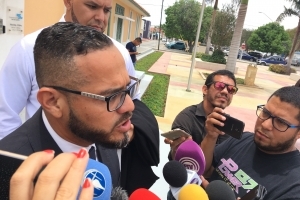 ORANJESTAD – The criminal case where a former Aruba Labor minister Paul Croes is the main suspect, took shape Wednesday morning in an Aruban court. The fact that is was merely a procedural case, did not make it less popular. And it was obvious, as this was the first indication of what was to be expected of the case and more important, the legal future of the former minister. A procedural case is where all parties come together and fine tune pending issues, tie up loose ends, and set a date for the case to be treated. ORANJESTAD – The Aruba government wants the Caribbean based DUCAPRO to ‘hold on’ on the june 1st introduction of royalties payments by local radiostations. 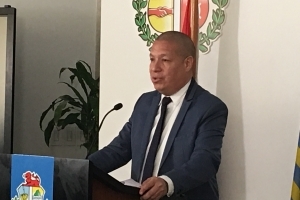 Aruba justice minister Andin Bikker and Aruba Finance minister Xiomara Ruiz Maduro suggested the change and also considered the Ducapro move as ‘not elegant and rather intimidating’. Ducapro, the Caribbean affiliated royalties company acting on behalf of Canadian SoCan, plans to charge local Aruba radiostations royalties for music played. Radiostations protested against the idea, and where one even threatened to change its format into a ‘talk radio’. Both ministers plan to approach local attorney David Kock, the local DucaPro liaison, and ask for several clarifications. They meanwhile want Kock to hold on with the introduction next month. 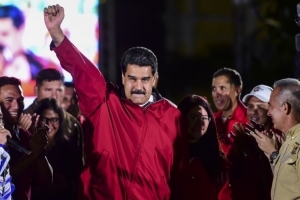 ORANJESTAD - “ The Dutch Kingdom will evaluate the Venezuela election outcome, and decide then if they will recognize it or not”. This was the first reaction of the Aruba prime minister Evelyn Wever to NoticiaCla on the recent Venezuelan presidential election results. She merely mirrored the Dutch oficial reaction as foreign relations is a Kingdom issue, and is treated as such. Wever also confirmed that if investigations reveal election irregularities, the Dutch Kingdom would not recognize the results. On a more local level, Wever said that the Venezuela and Aruba are close neighbors and are far too important, for which she’d rather stay out of the internal Venezuelan affairs. 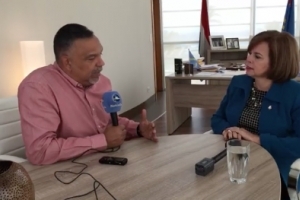 ORANJESTAD – After meeting with varios local Aruba produce vendors recently, Aruba prime minister Evelyn Wever Croes told NoticiaCla of the intentions of opening up the maritime border with Venezuela even before suggested date of June 6th 2018. Wever considered the request by the produce vendors as serious and called for a next meeting for this Thursday on the subject. The intention is to open up the border primarily for trade in fruits, vegetables and fish. Wever told this website that Venezuela still has to make good on promised to deliver the necessary documents needed to establish the ‘right way of doing business’ with Venezuela.